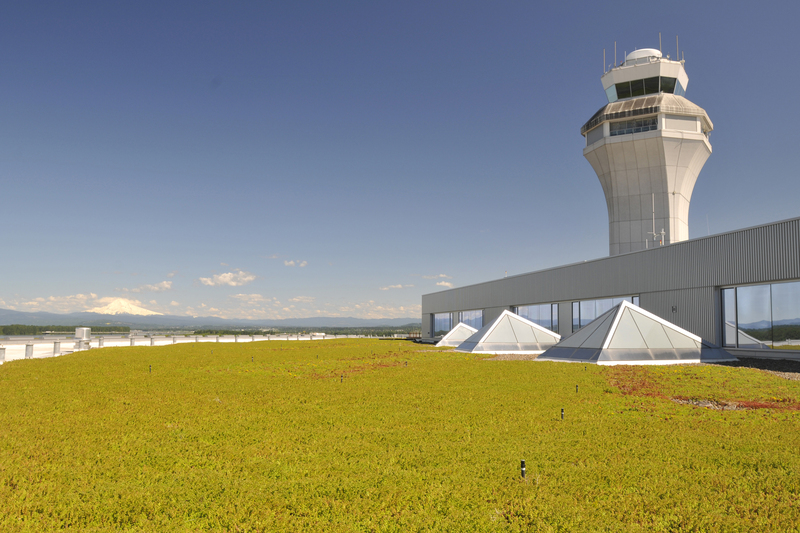 We hear from PDX travelers that our airport feels like home. Starting April 2, we’ll be providing real dishes and silverware to diners in the food cart area of the Oregon Market. The Green Plate program is a three month pilot project to help reduce packaging waste. And, it’s easy to participate! Drop off your dishes. Look for carts with bus tubs by the trash and recycling stations. Just leave food waste on the dishes; we’ll take care of composting! No need to wash up. PHC/Relay Resources will monitor the carts, clean the dishes and return them to the food cart kitchens. Tell us what you think! Send your feedback to lesswaste@portofportland.com. Eyes bigger than your stomach? Or, on the run? A to-go box is always available. We would love to hear your feedback on the program, email lesswaste@portofportland.com. The new durable dishware is part of a three-month pilot project made possible by a grant from the Oregon Department of Environmental Quality. The project’s overall goal is to reduce waste from single-use containers – along the way we also hope to identify barriers and opportunities, and calculate both cost implications and waste diversion rates. When the pilot is complete in June, we’ll evaluate the results to see if a permanent program might be viable in the future. Has a program like this been done in an airport before? No. 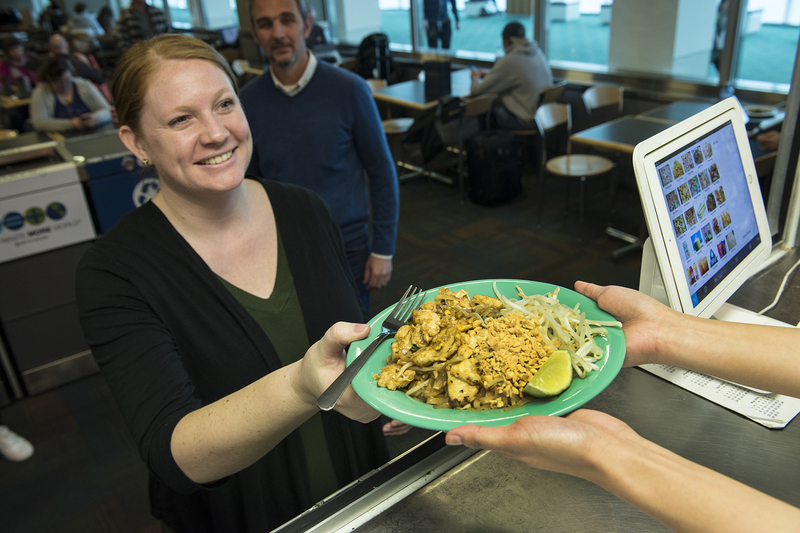 This is the first time a program that uses durable dishes has been used in an airport setting. Many universities have instituted similar programs in response to student interests and campus sustainability plans. We measure how much trash we generate. Our waste minimization team has a system to sort, weigh and record data. Pre-program analysis indicates there is a potential to reduce landfill trash in the PDX Food Cart area by 20 percent. Results depend on how many people participate, so choose a green plate. Why is this a pilot program? 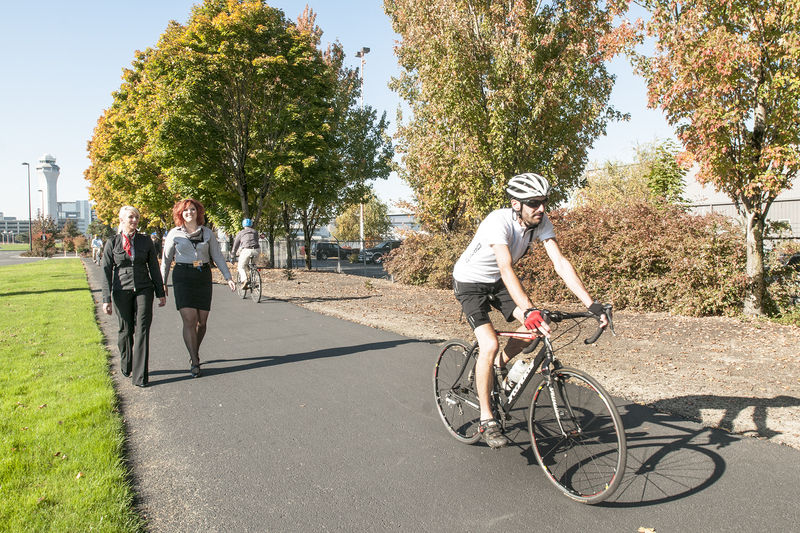 A pilot program allows us to explore feasibility, and helps us plan for the future. 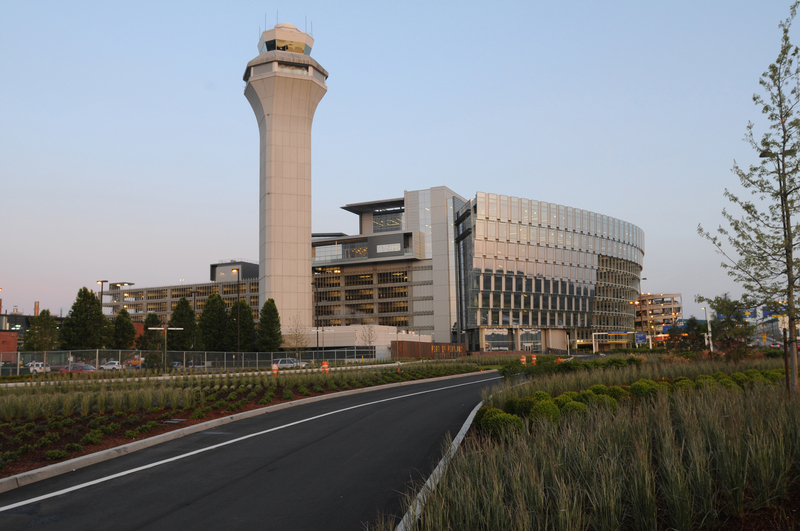 We want to know how our airport customers respond to the opportunity to reduce waste. We also want to understand how it impacts our concessions partners. A pilot helps us to know the true costs of the program and to refine its practicality and efficiency. The information we gain from the pilot program could help other airports or food courts in many different types of settings, such as shopping malls. Is this the first waste minimization program at PDX? And, liquid recycling collection stations at TSA checkpoints to reduce liquid landfill waste. ← Could your latte be clogging Portland’s water system?